Avocado Cream for dipping chips or vegetables Vegans Eat What? 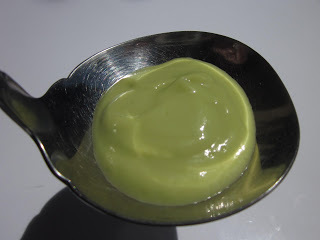 Creme de Avocado is a luscious and smooth dipping sauce. It is incredibly simple to make and a great way to stretch out an Avocado to serve more people. In a blender or food processor blend all ingredients together until smooth. Start with 2 tablespoons of water and add additional water 1 tablespoon at a time to desired consistency.